Healthy relationships are the result of a number of closely-related guidelines, including openness, cooperation, and communication. Although relationships are filled with enjoyable, mutually rewarding moments, the most successful strategies for maintaining a healthy relationship refer to how a couple deals with moments of disagreement or potential conflict. One of the most important characteristics for a healthy relationship is that the couple exhibit cooperation and not competition. A couple should not view each other as rivals, and when one member achieves a major milestone, the other member should embrace their partner’s success and not feel threatened. On the other hand, when one member achieves success, they should not boast about their accomplishment. There should also be no uneven or competing power dynamics; the dynamic should not be hierarchical and there is no place for sexism or misogyny. Although everyone has beliefs to which they are devoted, one salient guideline is that the members of a relationship should hold beliefs that are complementary or at least similar enough that they merit mutual respect. While some successful relationships exist in which the partners hold seemingly discordant beliefs, there must be mutual respect. It is also crucial that a healthy relationship involve open communication. At the start of the relationship, both members should freely discuss which attributes they believe constitute a healthy relationship; this helps each partner know what to expect as the relationship evolves. Accordingly, if a partner has a change of heart and their sensibility evolves over the course of the relationship, they should immediately communicate their feelings; a partner should never be in the dark about how their partner feels. If a member feels as though they cannot discuss their anxieties with their partner, tension likely develops and feelings become repressed. When feelings are expressed openly and willingly, both members have a constant sense of how their partner feels in a given situation. Inevitably, conflicts will arise during the course of a relationship. However, if someone commits a wrong deed, their partner should be willing to forgive them (within reason, of course.) The relationship should represent a safe space for both members; in one’s professional life, forgiveness is not so easily achieved, and the relationship should be an escape from this and an environment in which individuals act in good conscience, but at the same time feel as though they can commit a wrongdoing without being chastised for it. In the event that a partner commits an act that is not easily forgiven, the couple should consult the advice of a professional accustomed to working with such situations. No matter the conflict that may develop over the course of a relationship, it has likely happened at some point with another couple and partners should avail themselves to the resources that exist; for example, relationship counselors are highly experienced in dealing with such situations and are often successful in helping partners work through their issues. 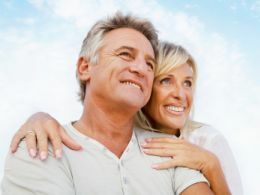 A successful relationship is difficult to achieve yet immensely rewarding, and by following these guidelines a couple can help ensure an enduring partnership.